Community News: New NISE Network project announcement! ChemAttitudes, NISE Network announces application for free Explore Science: Earth & Space toolkits of hands-on activities, Building with Biology: Engaging the public in conversations about synthetic biology, National Informal STEM Education (NISE) Network transitioning to new regional hub structure, NISE Net: Making a macro impact with nanoscience. We are pleased to announce the new project, ChemAttitudes, funded by the National Science Foundation. The ChemAttitudes project is a collaboration between the NISE Network and the American Chemical Society, and builds on the existing NISE Net infrastructure to raise the capacity of museums and informal science educators to engage the public in chemistry. Using design-based research, this project will develop a kit of educational activities that point the way to greater interest, relevance, and self-efficacy among museum visitors and those who attend events like National Chemistry Week. Two-hundred and fifty (250) physical kits will be developed and distributed in 2018 to partners through a competitive award process. 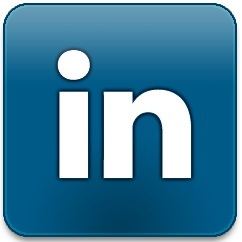 Learn more about this new project at http://www.nisenet.org/chemattitudes. Explore Science: Earth & Space toolkit applications are due November 4, 2016. 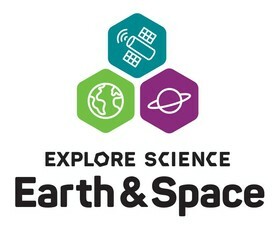 To learn how to apply for an Explore Science: Earth & Space toolkit, please go to http://www.nisenet.org/earthspacekit-apply. Join us for a free online workshop on Tuesday, September 13th from 2-3pm Eastern to learn more about this project, the toolkit contents and the application process [sign up now]. As the NISE Network makes a formal transition to the National Informal STEM Education (NISE) Network, we wanted to let you know that our regional hub structure will be changing slightly with some regions being combined with others. 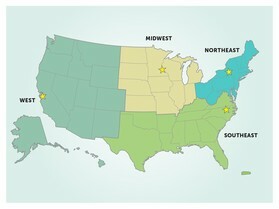 With the addition of new projects, the Network's regional hub structure will consist of four regions: Northeast, Southeast, Midwest, and West (as compared to the previous seven regional hub structure). For partners previously included in the Mid-Atlantic, South, and West regions, this will soon mean that you will have a new regional hub contact for Network correspondence. Please read the Network transition blog post for more details. Read the interview by Geoff Hunt, outreach manager for the American Society for Biochemistry and Molecular Biology (ASBMB), with Larry Bell, senior vice president for strategic initiatives at the Museum of Science in Boston about the Nano Informal Science Education Network, how it began, and its transition into the National Informal STEM Education Network. Please join us for a series of upcoming online workshops for the new Space and Earth Informal STEM Education (SEISE) project. There is no charge to participate in any of the online workshops. NISE Network informal happy hour gathering of network partners on Friday, September 23rd from 5-7 PM at The Sail Pavilion. No RSVP required. The NISE Network invites staff from partner institutions to an informal breakfast on Sunday, September 25th from 7:30-8:30 AM at the Tampa Marriott Waterside Hotel (Meeting Rooms 8/9) to learn about transition plans to the National Informal STEM Education Network, new project opportunities, and to meet other Network partners from across the country. No RSVP required. NISE Network booth (#723 and #822) in the exhibit hall, which will feature public engagement activities, partner resources, and information about upcoming project opportunities. Network partners are involved in a number of conference sessions around STEM topics, evaluation, and national collaborative networks - see list of sessions. This year's National Chemistry Week (NCW) theme "Solving Mysteries Through Chemistry" focuses on the chemistry of fibers and forensics and takes place October 16-22. This annual event encourages chemists and chemistry enthusiasts to build awareness of chemistry at the local level to promote its value in everyday life. For NCW resources, visit the official website. 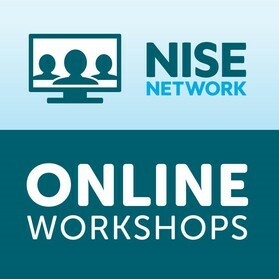 You can also find NISE Network chemistry-related activities at http://www.nisenet.org/national-chemistry-week. Inspired by the senior scientists’ gatherings in Gagliato, Italy, NanoPiccola, which is the junior extension of the Accademia of Gagliato, launched NanoPiccola days offering children in the local community an opportunity to learn about nanotechnology and its applications. NanoPiccola days is a program that includes hands-on activities and games, presentations, scientist trading cards, and Q&A sessions between scientists and the public. In 2010, the Houston Methodist Research Institute became a partner of the NISE Network, and NanoPiccola an international collaborating partner. Upon joining the Network, the Accademia was able to improve upon their own line of activities and experiments, and a Network from which to draw further inspiration and support! This past August, middle and high school Connecticut educators participated in a Building with Biology professional development workshop with Southern Connecticut State University (SCSU) faculty, which was a collaborative event coordinated by CRISP and the Office of STEM Innovation & Leadership. Educators discussed the social and ethical implications of synthetic biology along with SCSU's first ever iGEM team through the forum "Should We Edit the Genome? When, Why, and How Much?" Science Central paired their Building with Biology event with Fort Wayne Indiana's annual Three River Festival, where they were able to collaborate with a local architecture firm for an engineering egg drop competition from their rooftop. This event also allowed Science Central the opportunity to premiere the Building with Biology hands-on activities for participants and to highlight that engineering happens on the micro scale too by engaging in conversations with scientists from local universities facilitating the activities. Synbio and gene editing at today's #buildingwithbiology forum @NMNH - should we release gene-drive mosquitoes? #buildingwithbiology Answers include animal-friendly food, cheap medicine & my fave "There will be a fluffy giraffe"
Severe trauma resulting in internal bleeding is a top killer of children and younger adults. Currently, doctors are only able to use surgery to stop blood loss inside the body, however, researchers recently shared their work that used nanoparticles to help with blood clotting for treating internal bleeding. Delivered intravenously, the nanoparticles act as a bridge, binding to activated platelets and helping them join together to form clots. Initial studies have shown this process to work in stopping internal bleeding in rodents, but the next stages are proving this to work in human blood without triggering an immune response to fight off the nanoparticles. Researchers have also developed these nanoparticles that are stable at higher temperatures and are hopeful that one day they'll be used to save lives from the ambulance to the battlefield. Last September, NIH announced it was suspending funding for studies that introduce human stem cells into animal embryos while the agency considered the ethical issues; NIH was not yet funding these studies but rather this put a hold on future federal support. Now, NIH is considering revising their policies and lifting a moratorium on funding for experiments that add human stem cells to animal embryos, creating an organism that is part animal, part human - known as a chimera. Considered controversial by some, such experiments can be used to study human development, generate disease models, study mental illness, and potentially grow human organs for transplantation. See related Building with Biology forum program Should We Edit the Genome? When, Why, and How Much? According to a team of astronomers using the European Southern Observatory's (ESO) telescope, located in Chile, they have discovered an exoplanet in what is considered the "habitable zone" orbiting our nearest neighboring star Proxima Centauri. Laying within the habitable zone means that the exoplanet is a distance from its star that allows temperatures mild enough for liquid water to form on its surface. Statistical surveys of exoplanets by NASA's Kepler space telescope reveal the likelihood of a large proportion of small planets orbiting small stars, but this discovery has still been met with much excitement. Many unknowns still exist including whether this exoplanet has an atmosphere, and if it does it could inspire more interstellar research and the eventual mission of a probe to that star system. NISE Net's ideas for incorporating current science, engineering, and technology into holidays, seasons, annual events, and special events. Visit http://www.nisenet.org/seasons for more!